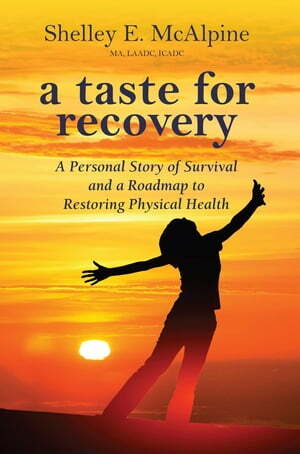 Collins Booksellers - A Taste for Recovery by Shelley E McAlpine, 9780996845878. Buy this book online. A compelling story of survival and healing from the ravages of the disease of alcoholism. Beginning with great opportunities and professional success, it chronicles the author’s life and her decades-long battle with alcoholism that drove her into financial, physical, moral, and spiritual bankruptcy. It describes her journey back to health, a new career, and a new life. The book answers the question, “How does anyone ever begin to recover from such a depth of physical and mental deterioration?” It offers critical information about the damage done to the brain and body by alcohol and how that impacts an alcoholic’s ability to remain sober, particularly in the first two years of recovery. This gutsty, unvarnished story tells the truth about alcoholism and its consequences, but it also provides a detailed roadmap for physical healing that will greatly increase the chances for sustaining an alcohol-free life.